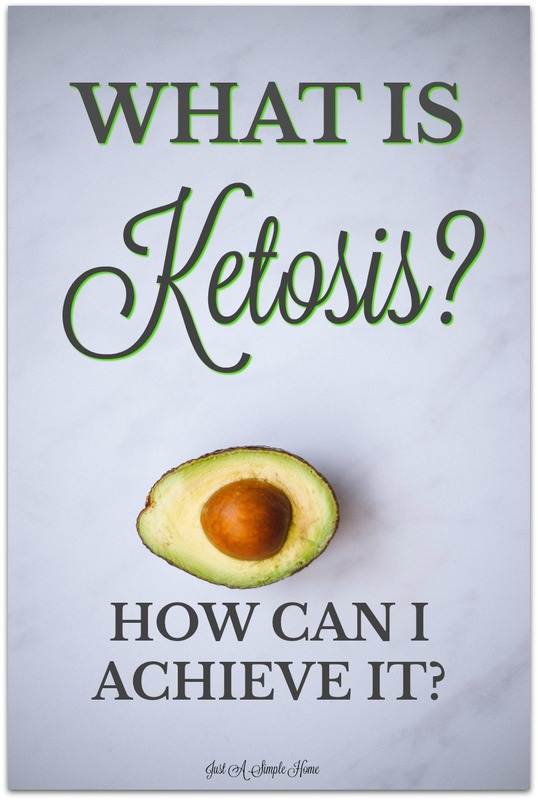 What Is Ketosis and How Can You Achieve It? The “keto” in a ketogenic diet comes from the fact that it makes the body produce small fuel molecules called “ketones” This is an alternative fuel for the body, used when blood sugar (glucose) is in short supply. Ketones are produced in the liver, from fat. They are then used as fuel throughout the body, including the brain. The brain is a hungry organ that consumes lots of energy every day, and it can’t run on fat directly. It can only run on glucose… or ketones. On a ketogenic diet your entire body switches its’ fuel supply to run almost entirely on fat. Insulin levels become very low and fat burning increases dramatically. It becomes easy to access your fat stores to burn them off. This is obviously great if you’re trying to lose weight, but there are also other less obvious benefits, like less hunger and a steady supply of energy. When the body produces ketones it is said to be in ketosis. The fastest way to get there is by fasting – not eating anything – but we obviously can not fast forever. A ketogenic diet, on the other hand, can be eaten indefinitely and also results in ketosis. It has many of the benefits of fasting – including weight loss. To get into ketosis you need low levels of the fat-storing hormone, insulin. The most important way to do that is to eat a strict low-carb diet, also called a ketogenic diet. 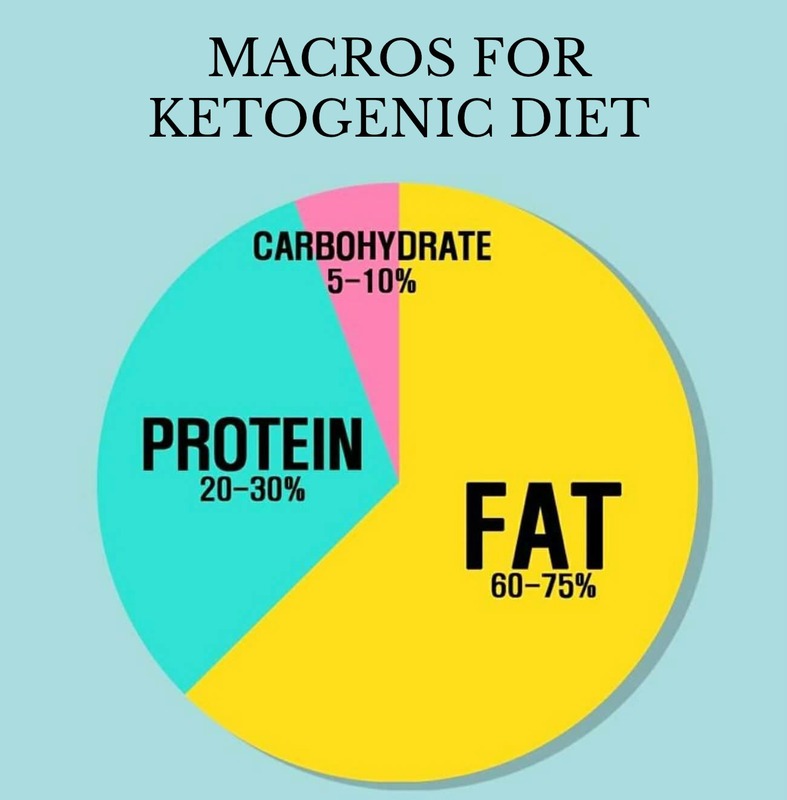 See my top tips for following a ketogenic diet. On top of the necessary ketogenic diet there are many ways to increase ketosis further. The most powerful is adding intermittent fasting, which is something I highly recommend. HOW DO YOU KNOW YOU ARE IN KETOSIS? Dry mouth and increased thirst. Unless you drink plenty and get enough electrolytes, like salt, you may feel a dry mouth. Try a cup of bouillon or two daily, and drink as much water as you need. Increased urination – another ketone body, acetoacetate, can end up in the urine. This makes it possible to test for ketosis using urine strips. It also can result in having to go to the bathroom more often, especially in the beginning. This is the main cause of the increased thirst we talked about. Keto breath – this is due to a ketone body called acetone escaping via our breath. It can make a person’s breath smell “fruity”, or similar to nail polish remover. This smell can also be emitted from your sweat and is usually temporary. Many people feel great while eating just once or twice a day and automatically end up doing a form of intermittent fasting. This saves both time and money, while also speeding up weight loss. Increased energy – Aside from the first few days of feeling sluggish (the “keto flu“) many people experience a marked increase in energy levels. This can also be experienced as clear thinking, a lack of “brain fog” or even as a sense of euphoria. The most obvious, and most important, way to achieve ketosis is to change your diet. Restrict to 30 digestible/net grams per day or less – a strict low-carb diet. Fiber does not have to be restricted, it might even be beneficial. Restrict protein to moderate levels. If possible stay at or below 1 gram of protein per day, per kg of body weight. It might be beneficial to lower protein intake even more, especially when overweight, and then aim for 1 gram of protein per kg of desired weight. The most common mistake that stops people from reaching optimal ketosis is too much protein. Eat enough fat to feel satisfied. This is the big difference between a ketogenic diet and starvation, that also results in ketosis. A ketogenic diet is sustainable, starvation is not. The majority of your diet should be healthy fats. Avoid snacking when not hungry. Unnecessary snacking slows weight loss and reduces ketosis. This doesn’t mean you shouldn’t snack, just don’t snack mindlessly. If necessary add intermittent fasting, like 16:8 (16 hours fasting, 8 hour food period). This is very effective at boosting ketone levels, as well as accelerating weight loss and type 2 diabetes reversal. Exogenous ketones help to speed up the process in which you are in ketosis, and burning fat for fuel through the Pruvit Keto//OS system. This is especially helpful when your diet is less than ideal or you just need some help getting started. You can start with a 5 or 10 Day Experience to see how it benefits your body before committing. Urine strips are the most simple and most cost effectve way to measure ketosis. It is the first option for most beginners. You dip the stick in your urine, and 15 seconds later the color change will tell you the presence of ketones. If you get a high reading (a dark purple color) you’ll know that you’re in ketosis. Pro: Ketone strips are available in regular pharmacies or via Amazon and they’re very cheap. A strong positive test reliably proves that you’re in ketosis. Con: Results can vary depending on how much fluid you drink. The strips don’t show a precise ketone level. Most importantly, as you become increasingly keto-adapted and your body reabsorbs ketones from the urine, urine strips may become unreliable even if you’re in ketosis. Thus the test may sometimes stop working – always showing a negative result – when you’re been in ketosis for several weeks. Personally, I don’t test for ketosis at this point. I know when I am in ketosis based on how I feel. I also use exogenous ketones to get me into ketosis within one hour, so I really don’t even have to think about it. Have you started following a Keto Diet yet? I would love to hear your experience! JOIN US IN A FREE COMMUNITY FOR MOMS WHO WANT TO FOLLOW A KETO LIFESTYLE! CLICK THE IMAGE BELOW TO JOIN! I have a question about being in ketosis, and I can’t seem to find answers to it. Do you know what it takes to kick one’s body OUT of ketosis? For example, if you go over the recommended carb limit one day, does that kick your body out of ketosis and you have to go through the whole adaptation process again? Is it less rigid then that? I have been tossing this idea around of the keto diet. From what I reading it sounds like you will have more posts about it. I haven’t really sat and read through it. Hi Stacie! Yes, I will have plenty of information for you! I noticed you just joined our group too, so you’ll get lots of help there! Glad to have you! This is so informative and inspiring. I have really let my nutrition go and I need to get back to Keto! I’ve joined your group, too, and look forward to learning there! I’ve done the keto diet a couple of times. I really need to get back to it, because I did feel great once I got going. The one thing that I really noticed that was surprising at first was losing my taste for sweet things. I didn’t miss them as much as I thought I would. At the beginning i was eating a lot but once I got into ketosis, I was really easy to get into intermittent fasting. Is there really any way to avoid making separate meals for the family when you are doing a keto diet? Hey Jaime! I actually never make separate meals for my kids. I make sure they have extra snacks and don’t restrict their intake. It is good for kids too! My kids do not need to lose weight, so they don’t lose weight. I just know they are fueling their bodies properly. You should join the group! We can chat about a lot! I’ve noticed so many people are hoping on this trend lately! This is interesting – definitely something to try out “the keto-diet”. Thank you. Hey Terryn! My husband and I have tried the keto diet a few times, and the funny thing is, we liked it. For me, my struggle is in planning and prepping my meals in advance. Not having a plan just killed our ability to stick to it. I’m planning to get back at it in the next couple of weeks. I like this way of eating as well as the Paleo and the Nutritarian. At the end of the day, eating more whole foods and less processed and carb-filled meals are a great place to start. Thanks for all this great information. I’m going to refer back to it! Terryn, if you could just come on over, raid my fridge, and grocery shop with me, I’d love it! This is so interesting and your post has so much great info. I’m going to start looking into ways I can pull away from carbs slowly. I’d love to get to the point of Ketosis. Hey, Terryn! I have been doing a keto diet with my husband for a bit and it’s amazing how different I feel when in ketosis. I love waking up without brain fog and keeping a steady level of energy throughout the day. I don’t do it all the diet, but I like to phase it. These are great tips for someone getting started. Thanks for sharing! This article is coming at the perfect time for me! I was checked a Keto cookbook out of the library without knowing much about it. Your article got me really inspired and now this great looking cookbook is going to be even more helpful for me! Thanks for the information! My sister in law lost a TON of weight on the Keto diet. It’s crazy what our body does and is capable of. I’ve heard of a lot of people having success with this diet and implementing the high fat ratio. It’s also not that hard if you love all things fatty! Congratulations on your success. This post is very informative. My husband recently starting this diet and has had great success. I will be sharing this with him.